If you own stocks, mutual funds or ETFs that pay a dividend, you will have to consider what to do with the dividends. Reinvesting in the same investment that produced the dividend is probably the most common strategy. But is it the best? Reinvest the dividends in the same investment. Take the dividends as cash, but leave them in the account for future investment in a different investment. Take the dividends as cash and withdraw them from the account. Here are some factors which might alter your choices regarding reinvesting dividends. Just because you withdraw a dividend from your investment account, doesn’t mean that it has to be spent on beer. You can use that money to pay down debt, savings – all sorts of worthwhile things that should help your financial position. This generally would only apply to non-registered accounts. This is sort of a half point – you don’t have to reinvest in the same stock/fund. You can instead direct the dividends to a different stock or mutual fund. If the investment is in a tax-sheltered account such as an RRSP, you shouldn’t remove any dividends because that will be a withdrawal and will be considered taxable income. In this case the dividend should always be reinvested within the same investment account. It doesn’t matter if the dividends are reinvested in the same investment or a different one or even left as cash. If the income investment is in a taxable account then the dividend will be taxable. This means that your tax bill will go up and you need to be able to get the money to pay the extra tax from somewhere other than the dividend if you reinvest it. If you borrowed to invest then you might be in a situation where you need to get the cash dividends in order to make the interest payments on the investment loan. Setting up a DRIP on a stock or mutual fund means that you are always going to be buying more units of that investment whenever there is a dividend issued. An active investor might want more control over where that money goes so getting the dividend in cash (and keeping it in the account) allows them to choose where and when that money gets reinvested. What do you think? Would you ever consider not doing a DRIP if one exists? I have some dividends coming in every month that I use to pay my interest on my HELOC account. So far so good in terms of return. On the other hand if the money was all mine i would partially drip and use the other income for diversification purposes. No harm in not dripping as long as you’re not throwing away that income. @BTI. That sounds like a reasonable approach. Great article, Mike. I agree that there can be better uses for dividends, and it sounds like Beating The Index is making good use of his. I have stocks set up to reinvest dividends when possible, but I would consider changing that around once I move back to Canada. What I’m thinking is to re-direct dividends from my non-registered account into my TFSA, which as I see it, would lower the effective tax rate that the investments within the TFSA would be calculated at. (Rather than using after tax income to put in the TFSA, I would be using the less taxed dividend income) I wrote about it a earlier this year, actually. I’d love to hear your thoughts on if I’m on the ball with this or not. Interesting strategy you’ve come up with. I’m not sure if there is any net benefit to using dividend income for TFSA contributions vs keeping them in the cash account or using dividend income for TFSA contributions vs using other income (interest, growth etc). Regardless of how you think about it, you will be moving the money from one account to the other which shouldn’t have a net gain. Would stocks with a large dividend be the best thing to hold in a TFSA? I currently only have a small amount of dividends coming to me via a mutual fund but hope to increase it substantially in the future. Everyone has to start out small before making it big right? But my current plan is to use the dividends to diversify my portfolio with other dividend producing investments along with stock purchases as well. @Kurt It would depend on what you are comparing to. A stock with a larger dividend will have more taxes than a stock with a smaller dividend so it might make sense to put the larger dividend in the TFSA if that is the only option. @Chris – yes, you have to start somewhere. I should clarify that there is absolutely nothing wrong with reinvesting dividends in the same investment. I just wanted to show some other options. Hi Mike, the stocks in my RRSP and TFSA portfolio’s are all dividend payers and I don’t use a DRIP for any of them. I like to accumulate cash until I have enough to either buy a new stock (usually about $3k so that my $29 trade commission is less than 1%), or buy more shares of an existing stock that I hold. Whatever is on my radar as the best value at the time. The problem I have with the DRIP is that you may not be buying at great values when the individual stock is soaring. And if the entire market is soaring and nothing looks super attractive, just hang on to the cash until a correction hits. Sure there is a bit of market timing involved, but if you have a good screener for P/E, or Yield, or Graham, etc., you’ll be ok.
@Echo – Good point about the timing. You can’t time the market with DRIPs. C’mon – find something cheaper!!! I think the investor should have decided up front what they were looking for in a certain stock/mutual fund. Then your choices above would probably be clear and obvious. Going the other way around where you have some money invested and decide after the fact what you might want to do with dividends just seems like a lack of planning, at best. As far as market timing of re-investing dividends I think most of the literature points to exactly not doing that. Ha-ha, too funny! That was my mom’s list (Boomer) but I’m surprised trading fees weren’t on there. My excuse is that I am very close to the consolidated balance of $100k, which then lowers your trading fees to $9/trade. Love the post, Mike. Always good to consider all options when reinvesting or not. @Arjun Thanks! I like thinking about different options. @Mike – yes, I would consider not doing a DRIP at some point, but for the next few years, I want most of my dividends reinvested. Like Echo, the only real problem I have with DRIPs is I might not be buying at the best time (i.e., valuations are high). That said, I like having my money working for me and so the more that’s reinvested, the more it’s working. I like the sound of my compouding machine(s) running not in idle. @Financial Cents – it’s hard to wrong with just reinvesting the dividends – unless there is a good reason not to. We DRIPed individual stocks for years until we reahced an amount where is made more sense to roll everything into a margin account. The paperwork to keep track of the ACB of each stock was daunting. Now the dividends pay off the margin and we just dump fresh cash in every two weeks to further pay down the margin. We keep it tame with the margin portion being about 20%. If any of our stocks or anything on our watch list looks like a deal we will buy on margin. Currently we are just paying things off and watching the interest rate. There is much less paperwork, and maill involved is nil. That being said DRIPing got us to this point and is a great way to start. It seems many posters are concerned about the fact that one cannot control when the dividends are reinvested. This is precisely why I like to use them. I have to be honest, I put some money in during Dec 08, and Jan 09, then stopped until about Jun 09. Without DRIP’ing, I wouldn’t have had money going into the market near the bottom. I’m thankful it makes me stick to a ‘DCA’ type investing. Reinvesting dividends in the same investment might also be thought of as working for a company that invests all its pension plan contributions in shares of the same company. When the company goes belly-up, not only have you lost your job, but you’ve lost your savings as well. Why does Enron come to mind when I think of that? @Jambo – Agree, if you are just starting out then DRIPing makes the most sense. @Mark – Yes, not-reinvesting is a way to diversify. Hmmm. Yes, I understand you point and agree. You are most likely right that moving money from one account to another has no net effect. I do, however, see a cohort where this strategy could make sense: the person who has a dividend producing portfolio, but who does not have the current income to max both RRSP and TFSA. In this case, I wonder if it could work. ie, put salary toward and RRSP for tax breaks, take dividends from an un-registered account for tax credits, and put those dividends into a TFSA. What are you thoughts on that play? I’m sure that would work fine. 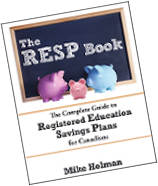 However, my philosophy regarding RRSPs/TFSA/open accounts is that the RRSP should be maxed out if you are a high income earner. In my case, I would use the dividends and contribute them into the RRSP. I gotta agree with Sampson – DRIPing makes dollar-cost-averaging a no-brainer. Investing is not my job, so the easier it is for me the more likely I’ll do it. Also, and I wish I could remember the study, I remember reading that fees were the biggest proportional drain on returns so using a DRIP means investing with fees (and even investing at a discount if you’re using a sponsored DRIP vs. a brokerage DRIP). That said, not all my investments automatically re-invest. For most of the reasons you’ve described above. I prefer allowing dividends to accumulate and then using them to make a new purchase. I combine new capital to the portfolio with dividends generated from the portfolio to continually find what I consider to be attractive investments and invest in them. The set-it-and-forget-it approach of automatically reinvesting dividends is not a bad strategy in my opinion, because it automatically dollar-cost-averages for the investor, but I enjoy taking a more active approach. @Schultzter – DRIPs make things easier which is always a plus. @Dividend Monk – Thanks for the comment. I’m going to check out your blog now. I have inherited a rather large sum and would like to invest in an income fund and take the dividends in cash to help pay down debt and make life a little easier. Do you have any funds you would recommend? @Debbie – Have you considered just using some of the inheritance to pay down or pay off the debt? Yes, I am going to use it to pay off my debt, but would like to put the balance in a good income producing fund. I’ve looked at Vanguard Weslley and Wellington funds and also Franklin Income Fund. Do you have any opinion of these? I want to do the best I can with the gift my Dad left me. I have no experience in stocks, shares etc…. but after reading the prospectus I’m interested in DRIP for Procter & Gamble, do you think reinvesting the dividends is better than cash dividends. Please advise.